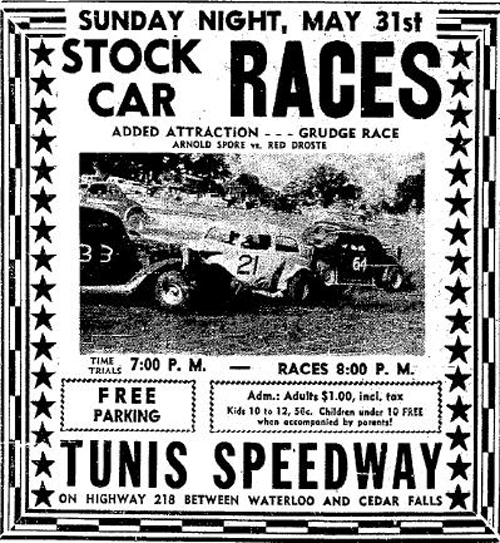 Tunis Speedway began in 1948 with Judd Tunis and Ira "Speed" Chumley getting together to build a 1/4 mile dirt oval track, The track length would later be changed to 3/8 of a mile. 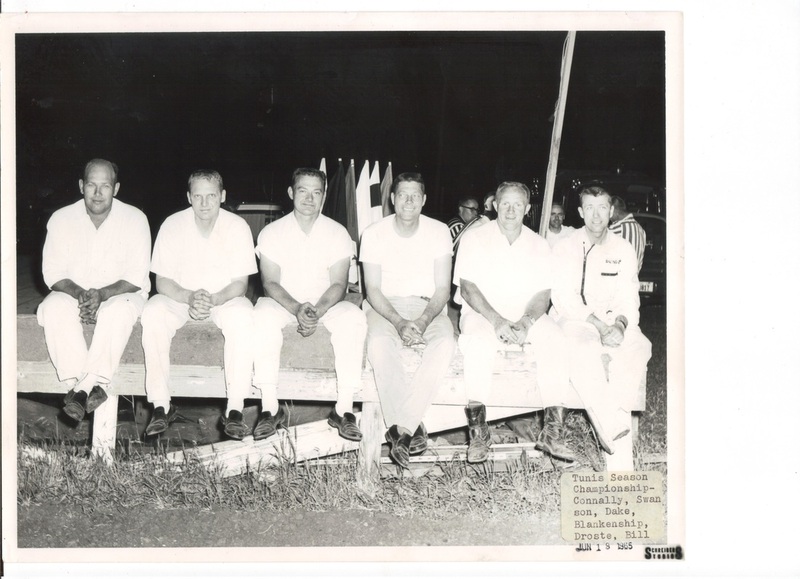 When the speedway first opened it hosted Bikes and Midgets, but it was not long before the Jalopies were putting on a show, Its been reported that huge crowds attended on a weekly basis. 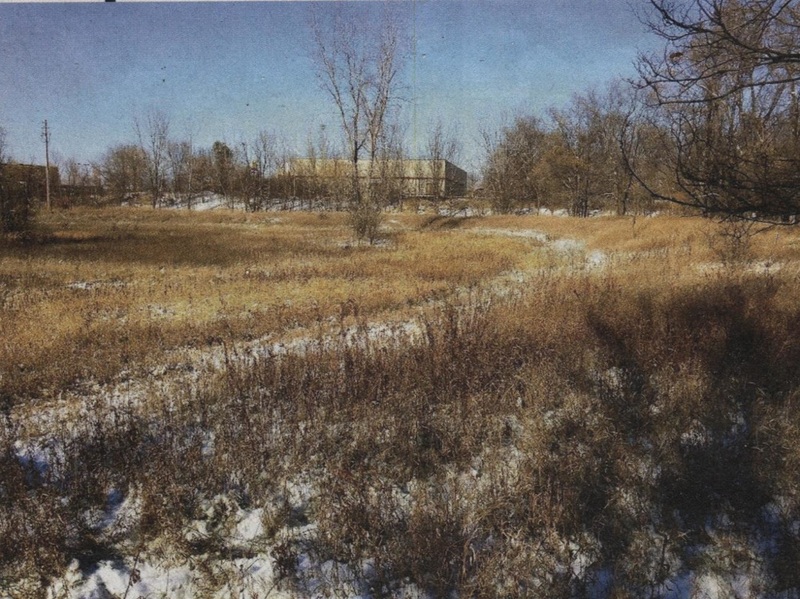 In the 1960's Tunis sold off a portion of his property to the Welles Department Store group, This proved to be a major error that nearly closed the track, After the sale Tunis found out that the survey details on his land were incorrect and he had in fact sold off turn four of the track, The new owners would not sell back any of the land but did allow Tunis to continue racing. By 1983 Tunis who was fed up with problems in regards to noise complaints closed the venue.